The North Korean government would appear to have a compelling prima facie self-interest in participant in the global climate change mitigation and adaptation project centred on the UN Framework Convention on Climate Change (UNFCCC). Capacity-building incentives that feed into the leadership perpetuation and state survival imperatives of the North Korean government represent the most likely explanation for North Korea’s interaction with the UNFCCC, in relation to environmental vulnerabilities that would threaten the control of the Kim government. North Korea’s flirtation with state failure during the Arduous March period of the mid-1990s illustrates this relationship. Energy shortages, food insecurity, vulnerability to natural disasters and withering export income are themes pivotal to understanding the events of the Arduous March and the ongoing weakness of the DPRK economy. 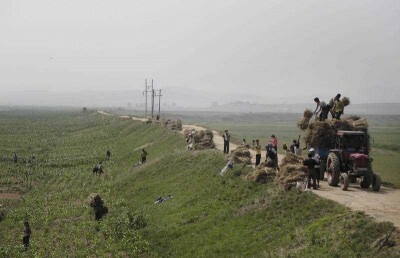 It therefore stands to reason that disaster mitigation through greenhouse gas abatement, capacity-building in both the agricultural and energy sectors, and exploration of new sources for foreign currency revenue could be logical components of the North Korean government’s plans for economic development and systemic consolidation. As early as August 2002, Korean Central News Agency (KCNA) warned about the danger to Korea of “whimsical” weather patterns and repeated natural disasters attributed directly to global warming. More recently, the DPRK government has released two detailed reports—its 2012 Environment and Climate Change Outlook and its 2nd National Communication to the UNFCCC in 2013—which document North Korea’s vulnerabilities to climate change and environmental degradation. Climate change impacts are likely to interact perversely with pre-existing weaknesses in the political economy of the North Korean state. Evidence from treaty compliance reports, international agency publications and secondary source material suggests four possible motivations for North Korea’s participation in the UNFCCC. Of these, the strongest probability is that North Korea is using the UNFCCC as a vehicle for capacity-building projects designed to increase agricultural output and build the resilience of the agricultural system to disaster events. There is also a strong probability that North Korea is utilising the UNFCCC as a vehicle for obtaining foreign assistance to upgrade its energy production and transmission infrastructure. The probability of the other two motivations are less certain. There is a weak possibility that North Korea’s high vulnerability to climate change impacts provides its government with a compelling incentive for UNFCCC participation, although free-riding on the treaty regime for capacity-building assistances seems the more compelling explanation. Similarly, the evidence that North Korea is utilising the Clean Development Mechanism (CDM) under the Kyoto Protocol primarily as a vehicle for generating foreign currency income is also weak. Though a connection cannot be ruled out, the miniscule revenue potential of the DPRK’s suite of CDM projects do not make for a compelling justification. Where capacity-building is concerned, there is a strong congruence between the over-arching goals of the UNFCCC regime and the systemic maintenance needs of the North Korean government which help to explain North Korea’s free-riding behaviour as a UNFCCC treaty Party. Indeed, taking advantage of the numerous capacity-building opportunities within the treaty makes sense from a systemic consolidation perspective and could enhance the government’s domestic legitimacy by providing tangible evidence that the government is responding to the needs of its citizens, while compliance with the treaty could bolster its claim to be a constructive international actor. Indeed legitimacy has currency as an explanation at a time when the North Korean government is attempting to attract foreign investment into its four special economic zones and nineteen economic development zones, while attempting to maintain control over a growing nouveau riche entrepreneurial class who have accrued wealth through the advancing marketization of the North Korean economy. The transformative influence of these emerging social forces is creating a window of opportunity for the international community to influence the North Korean state, if external players are willing to adopt a more holistic view of security in relation to the DPRK. In an earlier piece in East Asia Forum I suggested that environmental engagement with North Korea was relatively de-politicised and that the carefully nurtured cooperative relationships which have developed over time between UN agencies, NGOs and the North Korea government hold promise as vehicles for confidence-building. Environmental projects might open up a window for engagement that concerns over nuclear weapons proliferation have slammed shut. At present, the most promising avenues for environmental engagement with the DPRK exist via international institutions and treaty regimes such as the UNFCCC and other notable multilateral environmental agreements including the UN Convention on Biodiversity, the UN Convention to Combat Desertification. Across the DMZ, inter-Korean environmental cooperation has hit a cross-roads. Despite a rhetorical commitment by the Lee Myung Bak administration to further environmental cooperation, and the existence of sophisticated South-North “green détente” proposals emanating from sections of the policy community in Seoul, Park Geun Hye’s government has cooled on the idea because of fears that food and energy-related capacity-building will bolster the North Korean military rather than ordinary North Koreans. Even with a willing engagement partner in the Blue House, it remains to be seen how receptive the North Korean government would be to a full spectrum of environmental engagement. This article was originally published here in East Asia Forum. This article is based on Ben’s peer-reviewed article entitled Balance of Incentives: Why North Korea Interacts with the UN Framework Convention on Climate Change, published in the journal Pacific Affairs.